It was announced prior to MWC 2013 and was officially launched with BB10, the new OS from BlackBerry. Now almost 6 months later, Q10 with BB10 OS is available in India, but the price tag is too steep for any comments. Priced at Rs.44,990.00 it is around 5K more expensive then Z10. A little about the Q10. 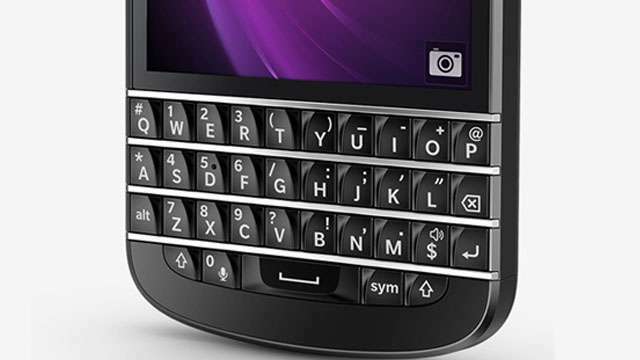 The Q10 is a phone loosely based on Z10 but with a traditional BlackBerry Keyboard. The Q10 has a 3.1 inch touch screen display with 720 x 720 pixel resolution (328 PPI). It is powered by 1.5 GHZ TI OMAP 4470 dual core process and has a PowerVR SGX544 GPU on board. The Q10 has a 8MP rear camera capable of shooting full HD videos and the front one is a 2MP one. Q10 has an internal storage of 16GB (quite insufficient) and you can expand it to 64GB via a MicroSD card slot. It runs on 2100 mAh Li-ion battery. On the connectivity front, there’s Wi-Fi 802.11 a/b/g/n with dual-band support, Bluetooth 4.0 with A2DP support, microUSB and miniHDMI ports, and support for NFC. I have my own opinion that this piece is priced to heavy for the users pockets but BlackBerry Qwerty fans may like this one. I think BlackBerry messed on a good opportunity to make this phone a popular one by pricing it way too high. 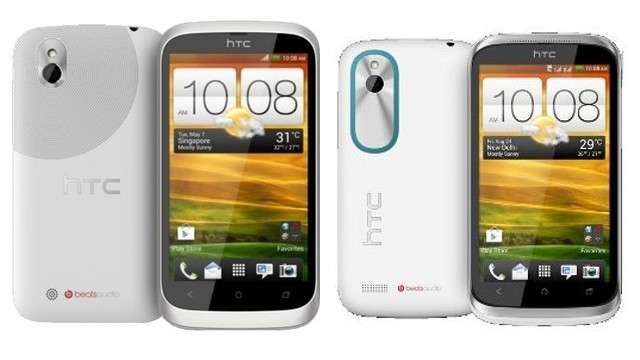 The next smarts phones to be available for Indians from today are from HTC stable. HTC Desire U is now available for Rs.13,499.00 and the Desire XDS costs Rs.16,089.00. Both handsets have dual-SIM functionality and are targeted at the mid range Android users.. The Desire XDS has a 4-inch display with a resolution of 800 x 480 pixels(233 ppi). I is powered by a 1GHz dual-core Snapdragon S4 processor from Qualcomm. This, coupled with the 768MB of RAM, should be able to handle most apps. It has 4GB internal memory, which is expandable up to 32GB through a microSD card slot. It runs on Android 4.0 Ice Cream Sandwich out of the box and sports HTC's Sense 4 UI. The smartphone is equipped with a 5 megapixel auto focus camera with LED flash. Desire XDS will also sport the HTC Beats Audio and will have connectivity features like 3G, Wi-Fi, DLNA, Bluetooth 4.0 and GPS with A-GPS. It will run on a 1650 mAh battery. The Desire U is a slightly cheaper version of the XDS. It has the same 4-inch display with the 800 x 480 pixel resolution. The HTC engineers have cut down on the inside with it running on a 1GHz processor and 512MB of RAM. It also has 4GB of internal storage and the memory is expandable up to 32GB via microSD. For photography, the phone features a 5 megapixel camera with WVGA resolution video recording. The connectivity features are same as HTC Desire XDS and there is no mention of HTC Sense UI in the release. I like the Desire XDS as it is rugged and has all the features a smart phone user needs. Pricing wise it is really good. Something about Q10 is it has New BB Os which is really remarkably in the OS market and it also has Dual core processor with support of 2 GB RAM and most blackberry qwerty keypad.